You can use a fish tank -- or aquarium -- to make a terrarium. The key to making an attractive terrarium that will thrive is to layer gravel, charcoal and soil to create a suitable growing environment for your plants. Once your terrarium is set up, it will require very little care to maintain. 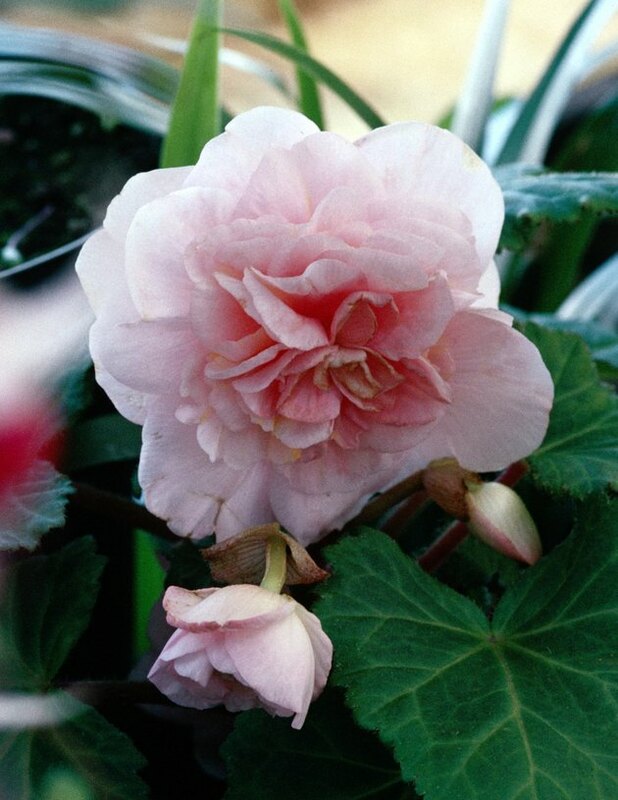 Begonias grow well in terrarium environments. Clean the aquarium with all-purpose household cleaner and a scrub pad. Rinse with hot water, and dry with a cloth. Pour in enough aquarium gravel or sand to fill the bottom 1 inch of the aquarium. The gravel will serve as a drainage system for the terrarium. Add a 1/2-inch layer of horticulture charcoal, which will filter the air. Add a layer of sphagnum moss. The moss will prevent the soil from sinking into the lower layers. Pour in enough soil to create a top layer about 2 inches thick. The soil can be distributed evenly, or you can create hills in some places and valleys in others. Plant the houseplants and flowers of your choice in the terrarium. Some good choices are begonia, baby tears, cacti and miniature African violets. Use a spray bottle filled with water to mist the soil so that it settles. Continue to water the terrarium one to two time each week. Cover the terrarium with the aquarium's cover or plastic wrap, to keep the humidity inside. If any of the plant leaves start to rot, crack the lid or pull back the plastic wrap to let some humidity out. Based in Laurel, Miss., Melody Morgan Hughes covers topics related to education, money and health. She has a Bachelor of Arts in English education from the University of Southern Mississippi, a Master of Education from William Carey University and a Master of Education from Nova Southeastern University.